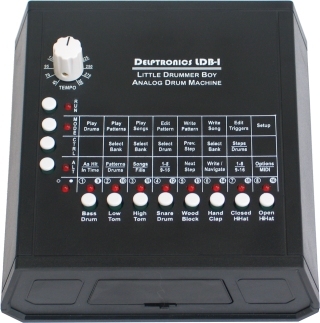 The LDB-1 “Little Drummer Boy” is a modern recreation of the classic analog drum machines of the 80's, like the Roland TR-606 and TR-808. Our goal was to recreate the warm sounds of the classics, using all analog circuitry - not samples. The brain of the LDB-1 is a powerful digital microcontroller that triggers the analog drum sounds and provides the sequencer, programmability and connectivity features. Easily interfaces with other instruments, synthesizers, DAWs, etc. through analog connections, MIDI, and DINsync. 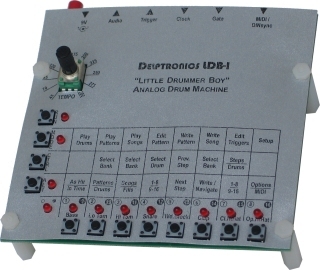 The LDB-1 has all of the features of a classic analog drum machine in a small, affordable package. What&apos; the difference? 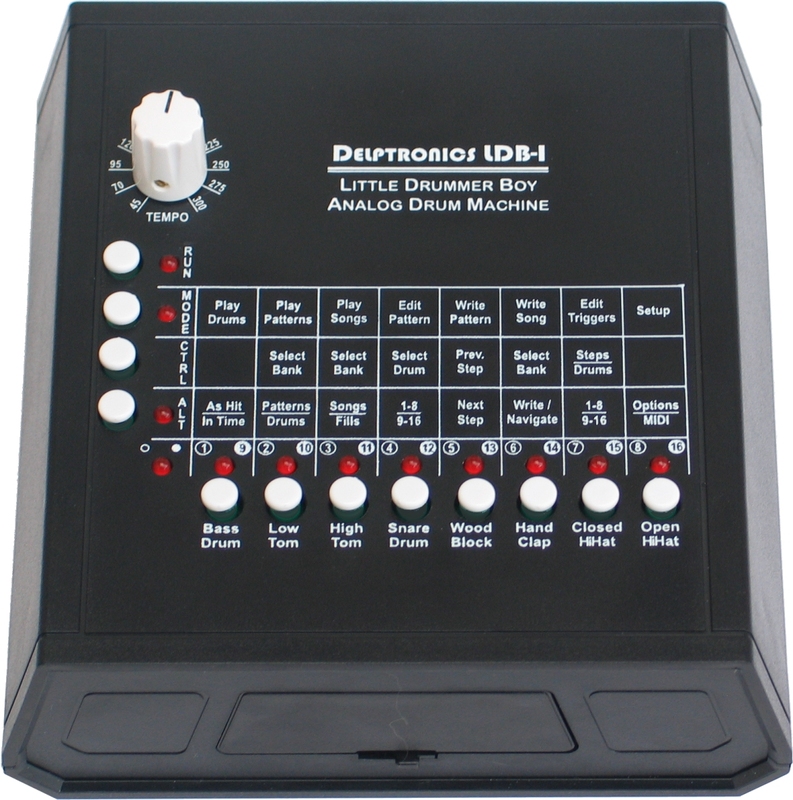 The LDB-1 Drum Machine is a complete, stand-alone drum machine that includes the analog drum sounds as well as a sequencer, pattern memory, and lots of connectivity options. The LDB-1e Eurorack Module contains just the drum sounds waiting to be triggered by any clock, LFO, or sequencer in your rack. 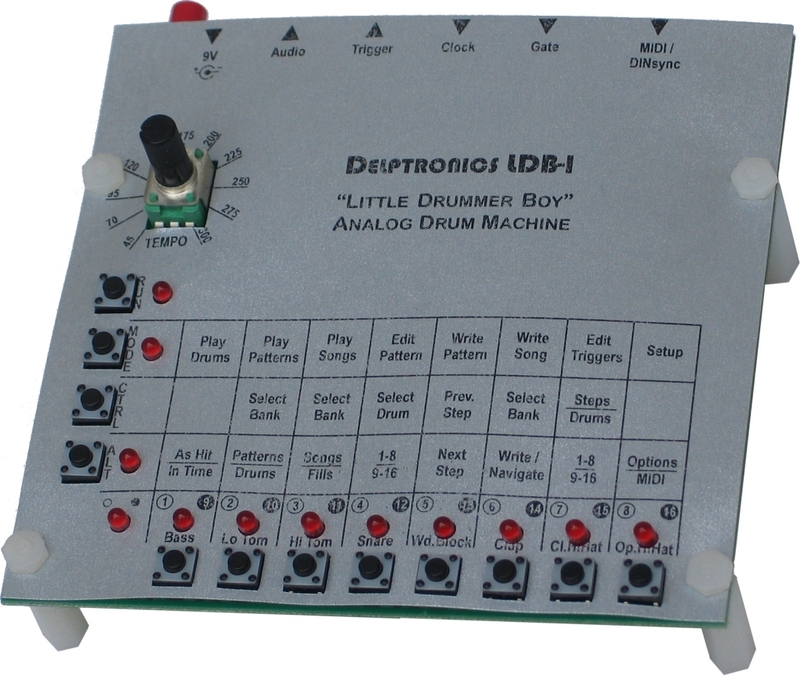 Anatomy of a Drum Machine - If you are interested the design process, the internal circuitry, and some tips on moding the LDB-1, then you will want to read this blog article by its inventor. There is a Firmware Upgrade that adds support for more MIDI hardware and software. This is an advanced level kit because of its size. It has a lot of parts and they are very close together. To answer the most frequently asked question: this would not make a good first kit. If you are considering building the LDB-1 kit, first please take a look at the kit assembly instructions. The kit does not come in an enclosure, but it does include a control panel overlay made from metalic cardstock. The overlay gives it a clean look that is much nicer than a bare circuit board. 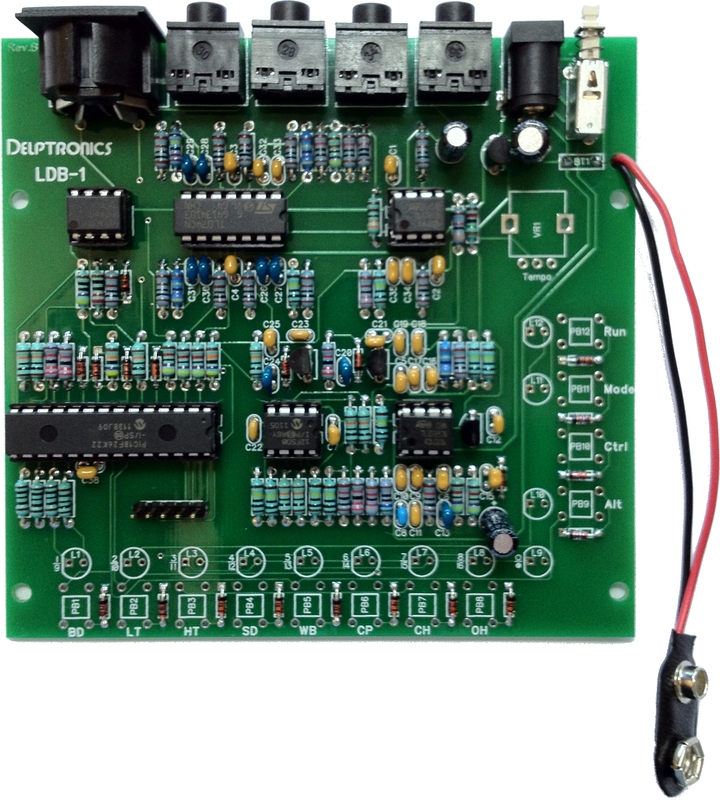 Serious DIYers might want to build the LDB-1 kit into a custom enclosure. Take a look at Mickey Delp&apos;s Giant Little Drummer Boy, and read his blog article about it.